HI everyone, my name is Andrea Worley! Today I’m excited to share with you a quick and easy project you can make in no time for your little trick or treater! Thanks Vanessa for letting me share today! I wanted to make a trick or treat bag for my daughter to carry around this year, but I also wanted it to be something she could use again and again! I found some canvas totes at JoAnns and knew they’d be perfect for my project. 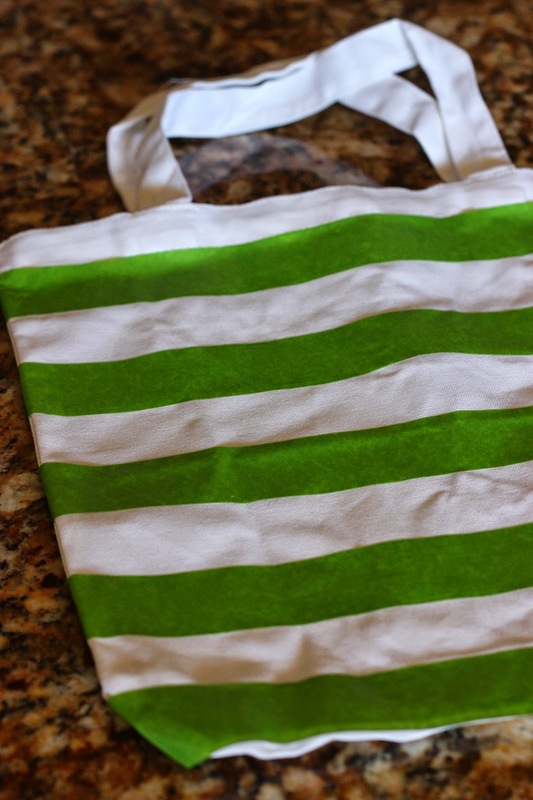 I taped off some stripes onto my bag using Frog Tape. Using some craft glue I put it on the areas I wanted to put the glitter. My glue was pretty thick so a little went along way for me. You can use any color glitter you’d like, I choose black because it fit the Halloween theme and black goes with anything so she could use it for other things. I let it dry over night and then dusted the excess glitter off the tote. I then brushed some silver shimmer Mod Podge over each stripe so that the glitter didn’t fall off over time, it acts as a great sealer. You can use regular Mod Podge too, but I just liked the silver shimmer for some extra sparkle. I also whipped up a bow to put in the center of my tote. 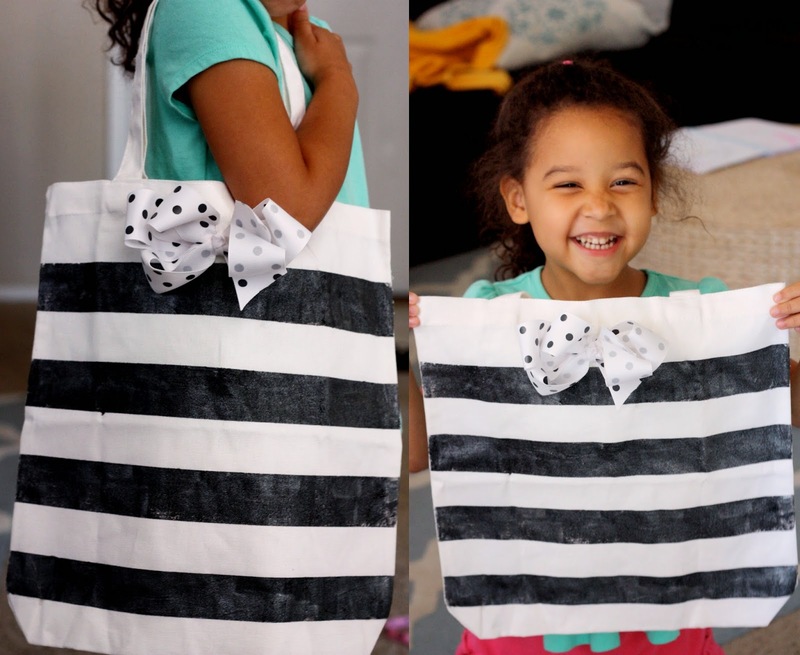 Smiling faces all around for a brand new tote! We’re using it as our dance bag until we can fill it up with candy on Halloween! This was super simple and easy to make, they would make great gifts too for parties! 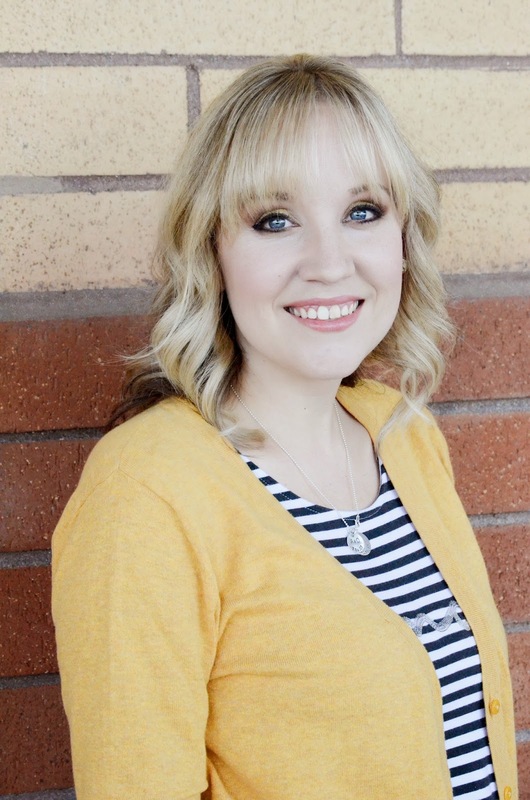 Andrea Worley is the author of a self titled lifestyle blog where she celebrates life’s everyday moments and hope to build and encourage a community of women around her. She lives in Phoenix, Arizona with her two children and her Husband. Visit Andrea’s blog here.